Herbs grow in pots on a windowsill. 2 Can You Steam Turnips? Supplement your meals with home-grown vegetables and edible plants even if you don't have outdoor garden space. Include herbs in your indoor growing area to add a quick, fresh burst of flavor to meals during any season. Select miniature vegetables, cool climate and early-season plants. Set the plants up near a large window, south-facing if possible, and install a grow light. Use a combination of colorful containers and hanging pots to create an attractive indoor vegetable garden. Crisp lettuce leaves and shiny spinach packed with vitamins and minerals make a fine addition to a salad, pasta dish or packed into a sandwich. 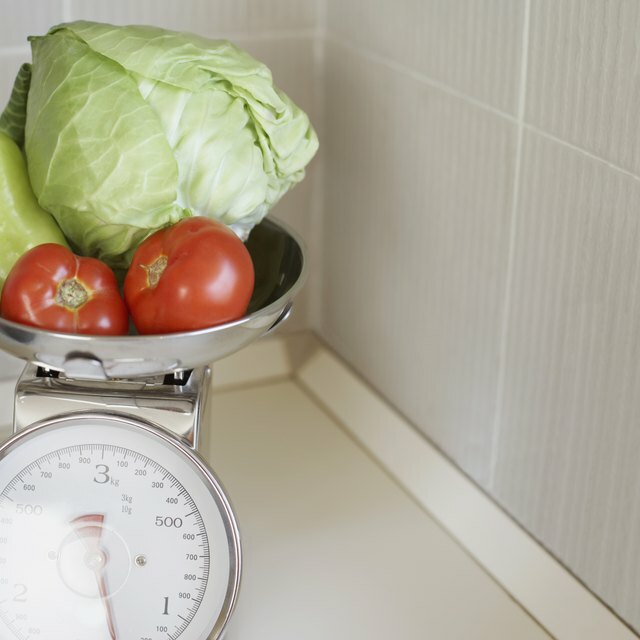 Leaf lettuce varieties and miniature Tom Thumb head lettuce are fast growing for indoor gardens. Use an Italian or spicy blend of leaf lettuce seeds for the bright flavor profile. Plant the Bloomsdale variety of spinach in two- to three-week intervals for an ongoing supply of the dark green vegetable. Small-fruited tomatoes ripen in the warmth and light of a bright window, while the larger fruited plants may not reach maturity. Choose the cherry-type tomatoes: Tiny Tim, Small Fry, Sweet 100 Patio and Pixie. Gain more space for your indoor garden area by growing tomatoes in an upside-down planter suspended from the ceiling. The plants grow downward out of a hole in the bottom of the planter, leaving flat surface areas near the window free to grow more edible plants. Early varieties of radishes, miniature carrots and beets grow outdoors in cooler weather conditions, making them vegetables that adapt well indoors. Cherry Belle and Icicle radishes reward you with crispy globes within four to six weeks. Danvers Half Long, Tiny Sweet and the fingerling varieties of carrots take longer to mature, but provide fresh, sweet flavor when they reach 3 to 4 inches in length. Grow Little Egypt and Early Red Ball beets for both their leafy green tops and the deep red globes that may be oven roasted or sauteed. Thin-walled peppers grow better indoors than the thick-walled bell pepper varieties. Include both spicy and mild peppers in your indoor garden. The Long Red Cayenne and tiny Thai peppers are visually attractive as they grow and yield fruit that can be used fresh or dried. Sweet Banana and Yolo Wonder peppers bring mild, sweet pepper flavors to classic dishes. 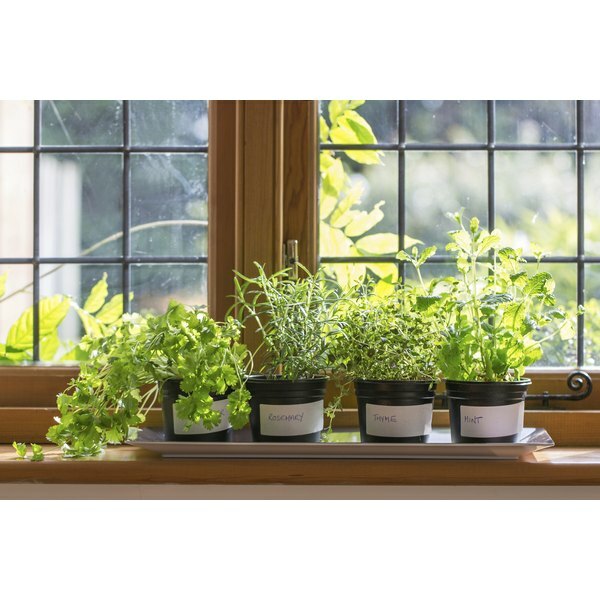 Grow traditional windowsill garden herbs to enhance the flavors in traditional and ethnic cooking. Grow chives, cilantro and both curly leaf and flat-leaf Italian parsley from seed, keeping the soil moist and warm for germination. Add oregano and thyme plants from the nursery to broaden your palette of flavors. Trim the plants often to encourage vigorous growth, using the clippings in your cooking.